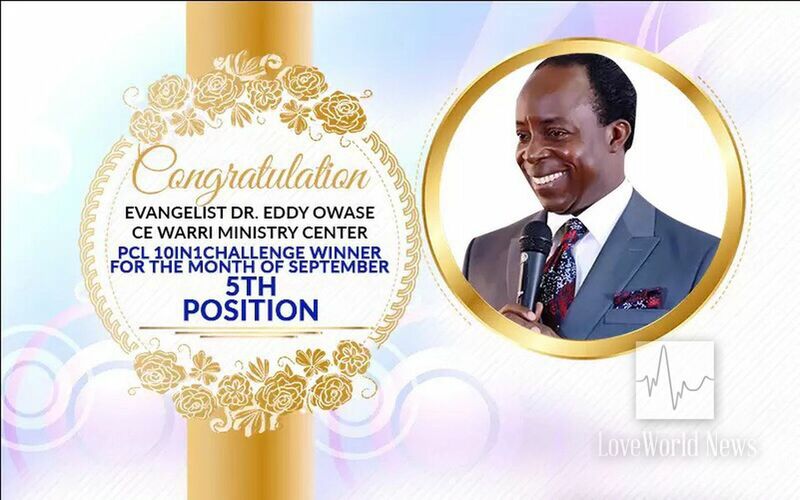 Pastor Joy Amenkhienan and Pastor Chike Ume receive coveted 10-in-1 Challenge recognition for September. 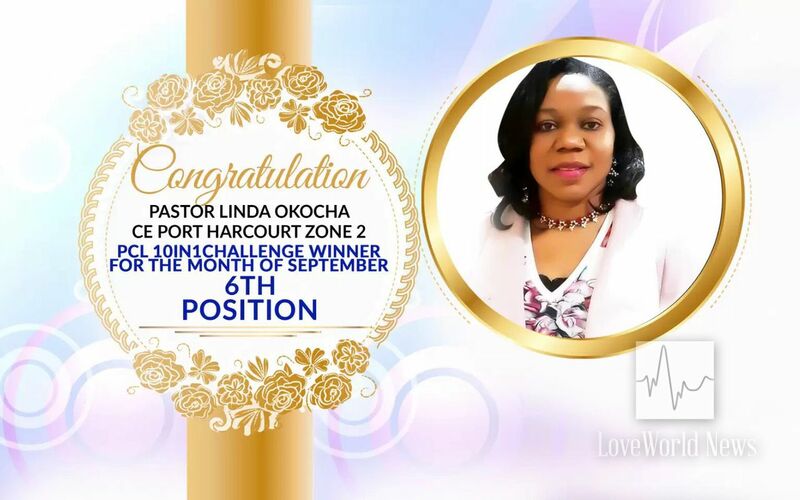 During the October 2018 Global Communion Service, the man of God, Pastor Chris, announced winners of the Pastor Chris Live 10-in-1 Challenge for the Month of September. 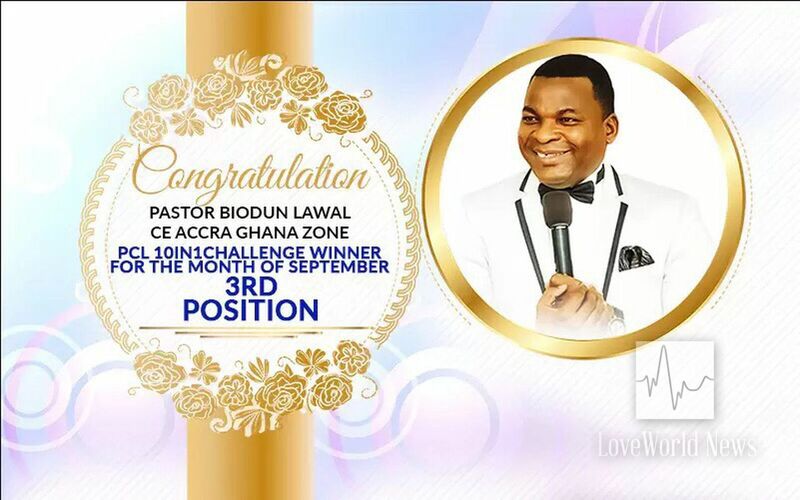 The winners and runners-up were responsible for signing up thousands of people to the BLW President’s prayer network on KingsChat. 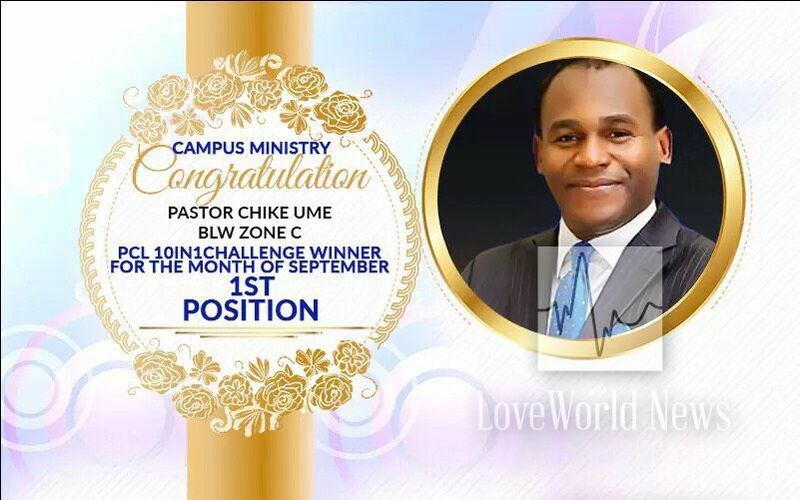 The esteemed Pastor Chike Ume (BLW Zone C), winner in Campus Ministry category. 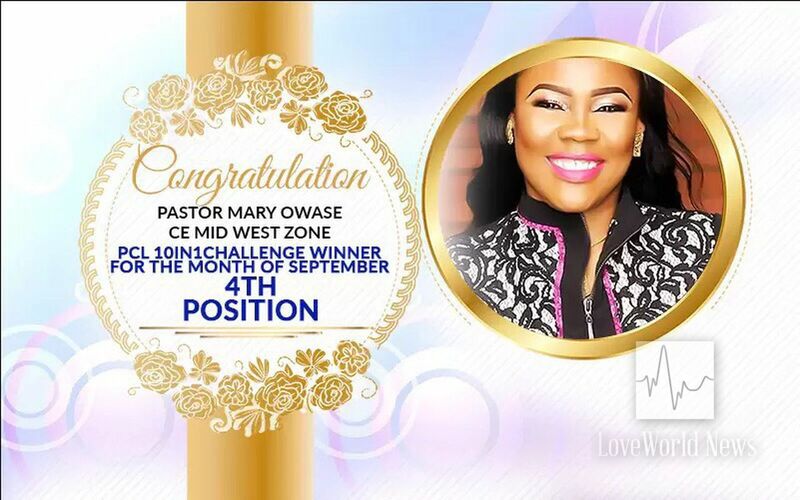 Pastor Joy Amenkhienan received the award in first place for the church category, on behalf of Port Harcourt Zone 3, while the Campus Ministry Director, Pastor Chike Ume, received the award on behalf of BLW Zone C in the Campus Ministry category. 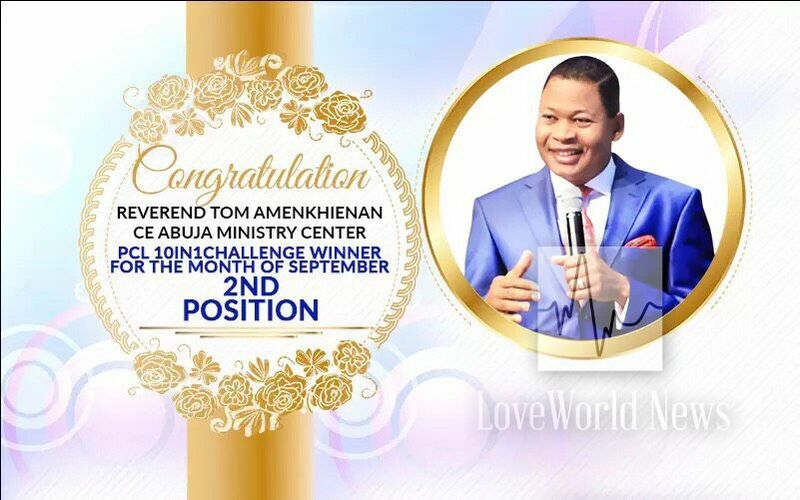 Reverend Tom Amenkhienan (Abuja Ministry Center) in second place. 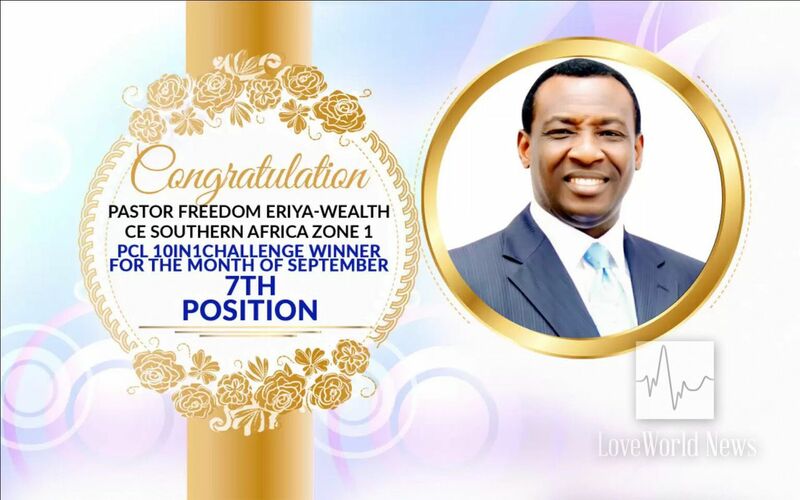 Runners up in the church category, from second to tenth include: Abuja Ministry Center (Reverend Tom Amenkhienan); Accra-Ghana Zone (Pastor Biodun Lawal); Mid-West Zone (Pastor Mary Owase); Warri Ministry Center (Evang. 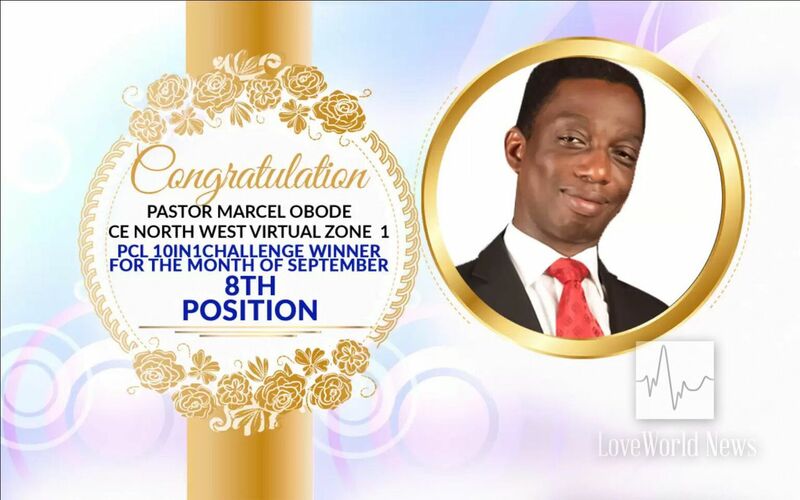 (Dr.) Eddy Owase); Port Harcourt Zone 2 (Pastor Linda Okocha); Southern Africa Zone 1 (Pastor Freedom Wealth-Eriya); North-West Central Zone 1 (Pastor Marcel Obode); North-Central Virtual Zone 1 (Pastor Tuokpe Edun); and, Eastern Europe Region (Pastor Chidi Ezimako). 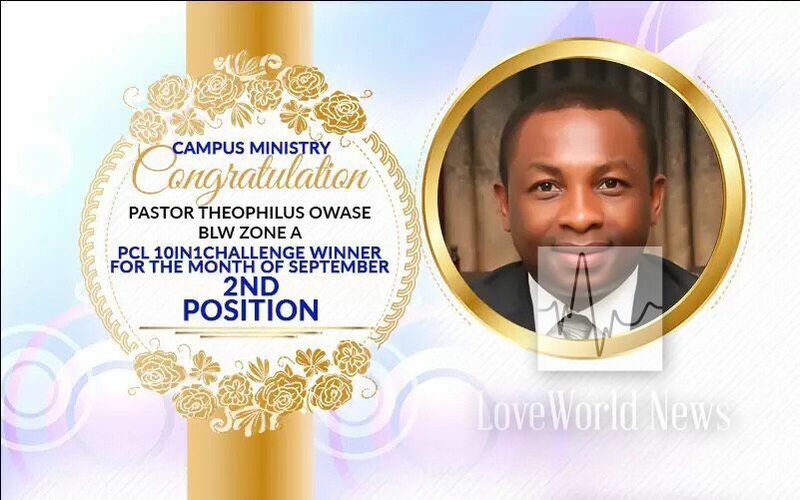 Pastor Theophilus Owase (BLW Zone A) in the second place for Campus Ministry. 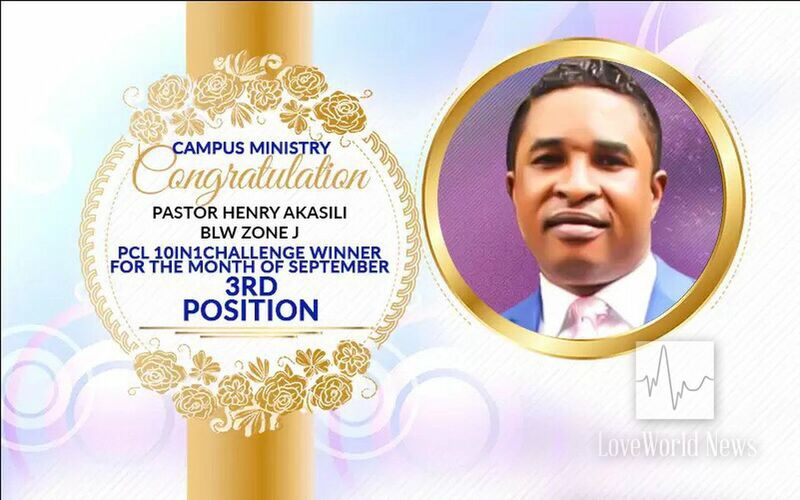 In the Campus Ministry, the runners-up, from second to fifth are: Zone A (Pastor Theophilus Owase); Zone J (Pastor Henry Akasili); Zone H (Pastor Mike Bazuaye); and, Ghana Zone (Pastor Shirley Ennin). Photo gallery below shows more top winners. Remember to congratulate them on this glorious feat. Hallelujah! Glory be to God.